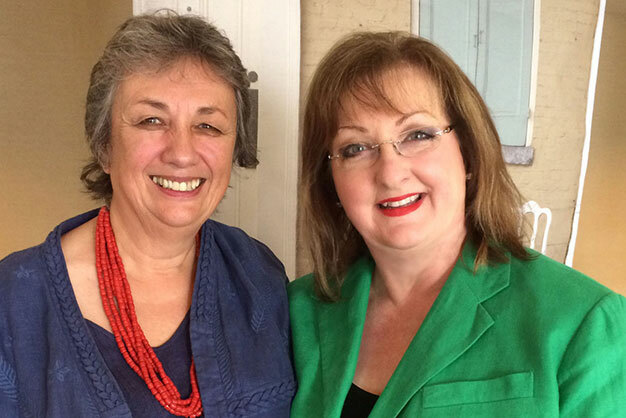 She and her family were in New Orleans for the the annual convention of North American Annie Sloan Stockists, which is a term used to describe independent shop and boutique owners who stock her paint. I love that term, and in her British accent it sounds even more charming. Her family travels with her, and spending an evening with them was just delightful. She marveled at the wonderful food of New Orleans, and we marveled at her story of building a leading international business of beautiful paints and creative techniques for giving items a new life. 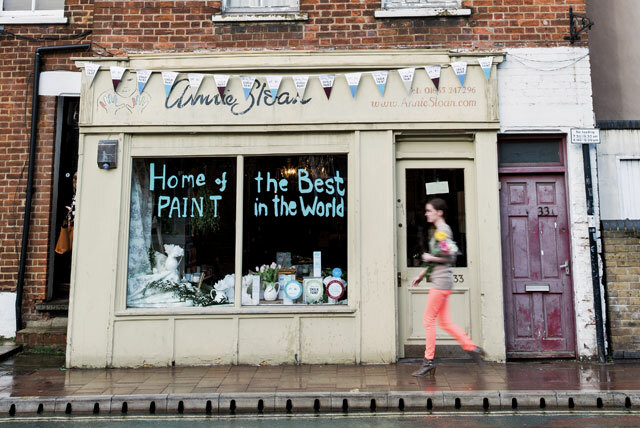 When I saw all the excited shop owners who have businesses that feature Annie’s paint, I realized that she has been integral in the success of many businesses worldwide. 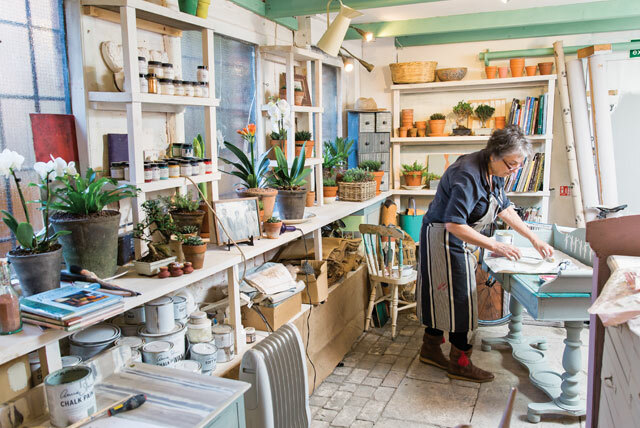 When we had the guest blog by the Blue Egg Brown Nest owner, Christen Bensten, we all were celebrating the beautiful business she has using Chalk Paint®. Annie is an innovator as well as an entrepreneur, and her affinity for locally owned business and genuine community shines through in all of her endeavors. Trained in fine art, Annie is a true creative genius, and her products and techniques make her a leading authority on style, décor, and more! Thanks to her lovely line of Chalk Paint®, many a would-be castaway piece of furniture has received a second chance. In short, we fell in love with the way she creates and how she runs her business. So we are overjoyed to announce that she is officially a contributing editor to our newest magazine fresh style! 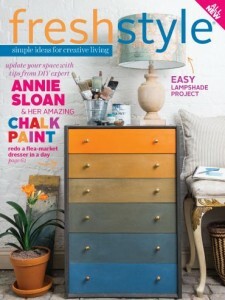 Click over to Annie’s blog to learn more about her amazing Chalk Paint®, and visit freshstylemag.com to discover how you can be a part of the fun! Purchase Annie’s fresh style issue today! love the Annie Sloan chalk paint. She truly is an artist!! 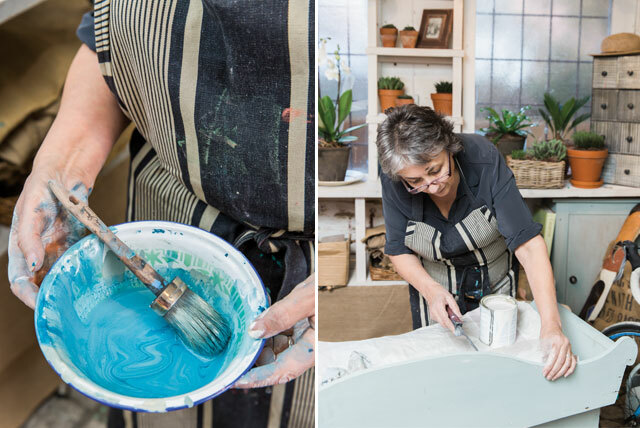 Use Annie Sloan Chalk Paint all the time – inside and out! I love Annie Sloan’s chalk paints. Have redone 2 pieces of furniture and they both are so much better. I can’t wait to start my first Annie Sloan project! That is a big YES! You will do well.